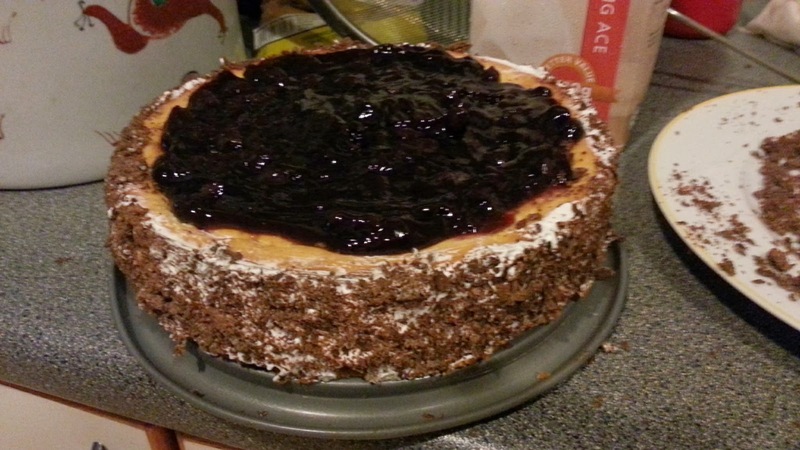 original.kerchi: Tutorial for an almost prefect cheesecake ! haha. My prefect weekend just passed.. :D Despite,being extremely tired after my weekend. I had such an awesome weekend being able spend it with such amazing people. 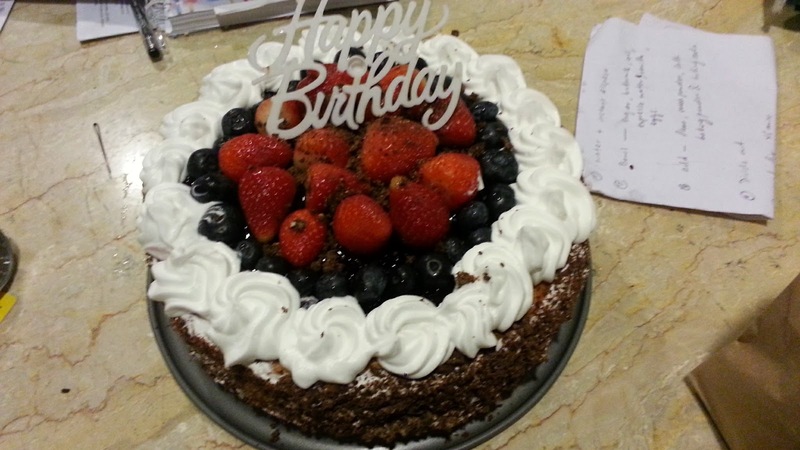 Will reveal to you later who is this special person that i baked this cake for ! *curious ? haha. You will only need half of it. If you can't find this biscuit, don't worry. You can always replace it with any type of biscuit similar with a short bread texture. I've even seen people, replacing Oreo as their base. You are the Chef right, so play with your ingredients ! Very important that it is unsalted. if not your base will taste slightly salty. *unless you prefer a savoury cheesecake. Just so you know that i didn't purposely buy a low fat sour cream. That was the only sour cream ! So no choice ! haha.. Any normal sour cream will do ! flour is just to bind all the ingredients together. Sugar amount is really up to you. 1 cup is normally the average amount, but i only put in 1/2 cup of sugar. Don't like my cheesecake to be too sweet. 2. Crush biscuits. I crushed mine in a zip-log bag. So that it doesn't make a mess, you can use a rolling pin to do the CRUSHING ! haha.. my hands were too weak. 3. Melt 6 teaspoons of butter. 4. In a bowl, space crushed biscuits, 1/4 cup of sugar and pour in the melted butter. 5. Pour biscuit mixture into a cheesecake mold, (I'm using the one that can detach the side, if you're not sure how it looks like, just scroll down will have a picture of it.) and just pad it down to create a nice firm and compact base. 6. Bake it for 8 mins. 2. Pour filling on top of the Baked biscuit mixture. 3. Bake it for 45-50 mins. 4. After Baking, off your oven and let the cake cool inside the oven for 30 mins before taking it out. 5. Then just leave it in the Fridge at lease 24 hours before serving or decorating. After baking for 45 mins. I still had cracks on my cheesecake. But no worries, cause i'm gonna decorated it. Decorating is really my weakness. When it comes to baking, my priority is the taste then the look. But then cause it's a birthday dinner, so presentation is quite important. & it's an opportunity for me to brush up on my decorating skills. I bet you're still wondering who i baked this cake for. unless you added me in Fb then you would already know. haha.. THIS IS MY SPECIAL , BIRTHDAY GIRL. 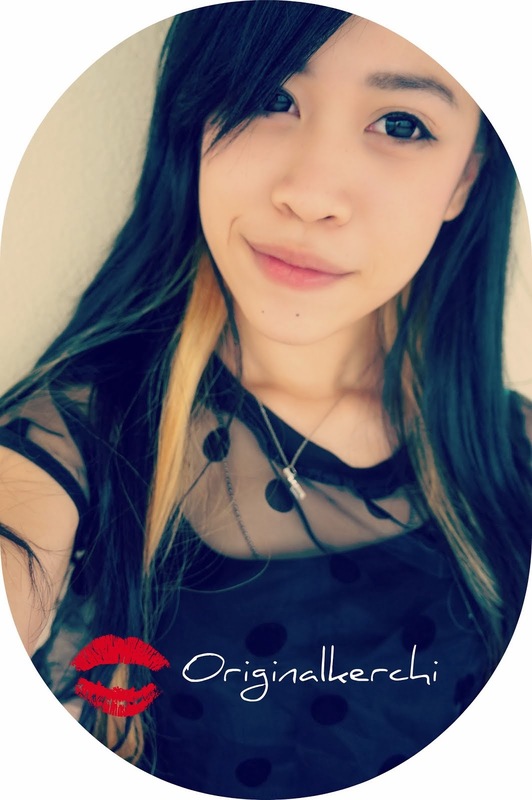 SELINA LO ! Happy birthday again , Selina !